One of the things I love to do in my spare time is woodworking. I’m currently working on the top bunk to a set of bunk beds (the bottom bunk was completed over 2 years ago so I hope there is no statute of limitations on bunk beds). Working with my hands gives me time to think and create. I thought I would share a little bit about my shop (aka one half of a two-car garage) and the tools that I use. You don’t need a lot of tools to get started. Just pick a project and use what you have to make something fun. I’ve picked up different tools as I needed them for a project or gotten them as gifts. When I don’t have the right tool for the job I either borrow it or try to use what I have on hand to make it work. That is part of the fun! If you’re looking to put together your own shop for little projects or as a hobby, here are my recommendations for the top 5 tools I would pick up. I started out primarily with power tools, but I’ve included two hand tools in this list because I’ve found them invaluable and a lot of fun to use. I use my table saw probably more than any other tool I own. You can use it to cut wood to width, create lap joints, make mitered cuts, and tons of other tasks. Getting your stock to the right dimensions is the first thing you have to do before you can bring your project to life. 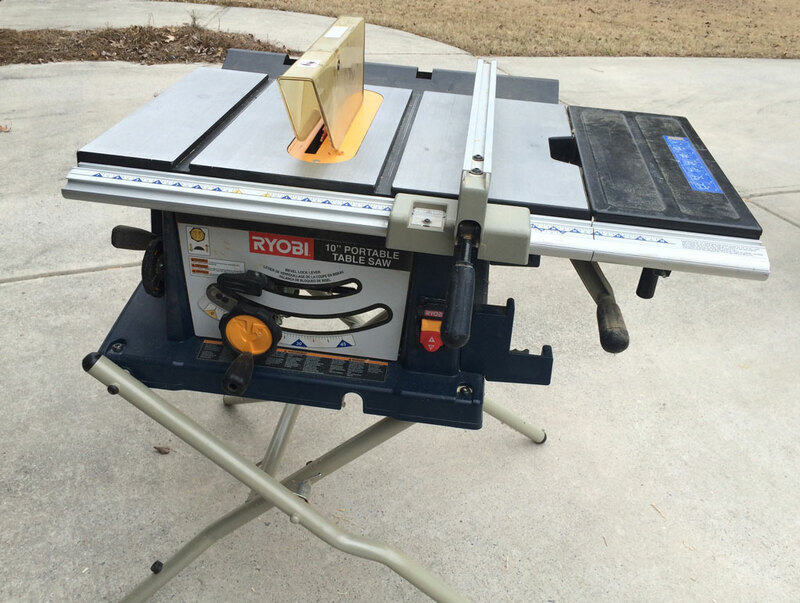 I have a Ryobi portable table saw. It costs about $300 new, but I found one on craigslist for about $150. The important thing is to get one with a strong, flat table and a good fence. 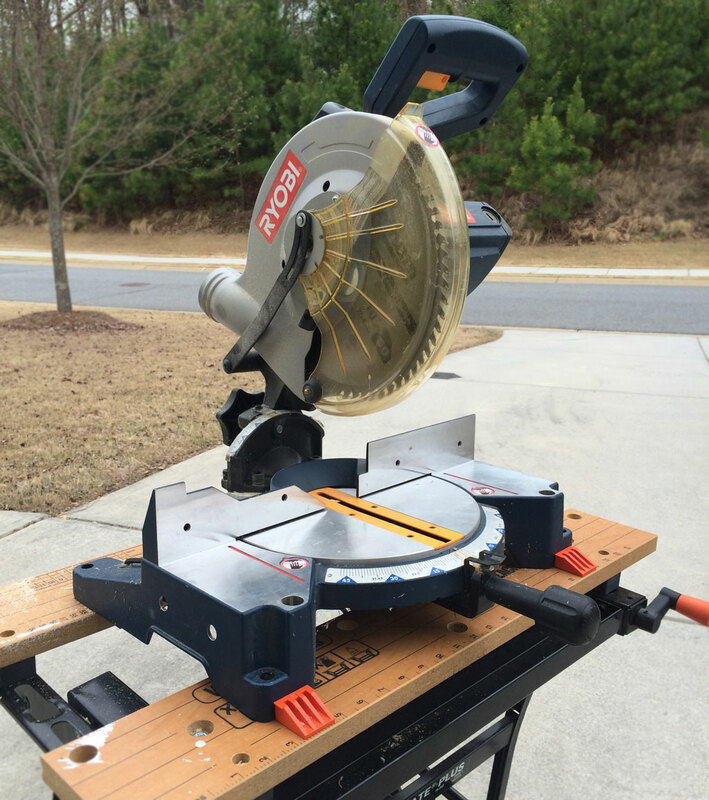 Also known as a chop saw, the miter saw does one thing and does it well. It is great for cutting wood to length and making miter (or compound) cuts. I have a Ryobi that I got for around $75. The big thing to look for is how wide a cut you can make. Mine will cut a 2x6, but there are times when it would be nice to have a little more reach so I could cut 8” boards. I’ve been getting into hand tools more recently and I really enjoy working with them. I find that there are numerous tasks where it is much faster to use a hand tool than to fire up a power tool. 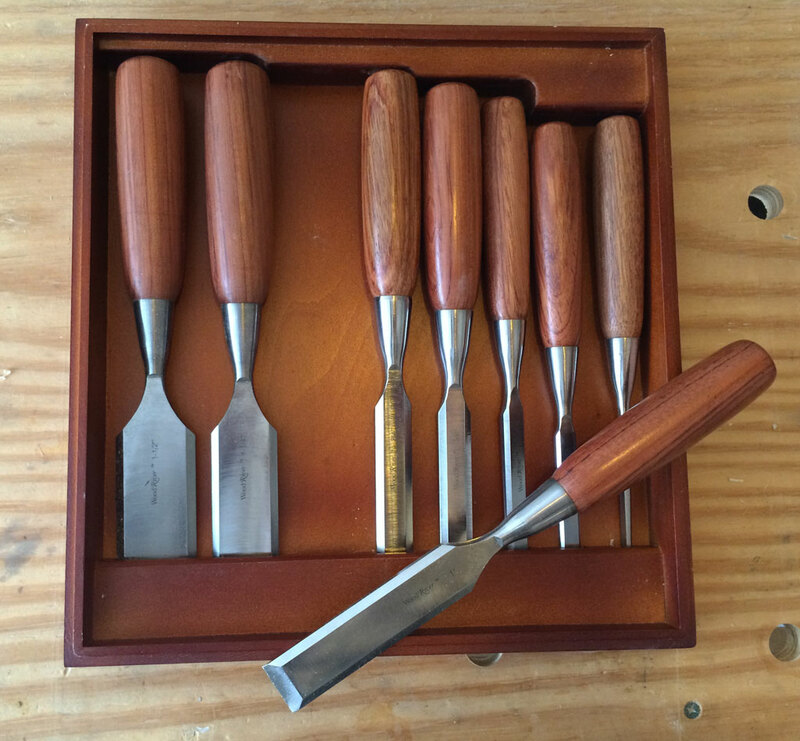 These bench chisels are great for all sorts of things from squaring holes, to trimming excess glue, to cutting dovetails. The key to chisels is keeping them sharp and you can do that yourself by picking up a decent water stone and honing guide. I can shave the hair off my arm after these are sharpened (shaving your arm with a chisel is a lot safer than shaving your face). I recently picked up a 12oz Wood is Good Mallet which is helpful when making mortises or cutting across the grain. There is not much manlier than planing down a piece of wood by hand (until the next day when you can barely lift your arms). In all seriousness this can be a workout, but it can also be a big time saver. What do you do if your wood is 1/16 of an inch too thick and you don’t have a powered planer? You can sand it down, but even with an electric sander it takes a l-o-n-g time to sand down 1/16 of an inch. With a hand plane you can take that down pretty quickly. 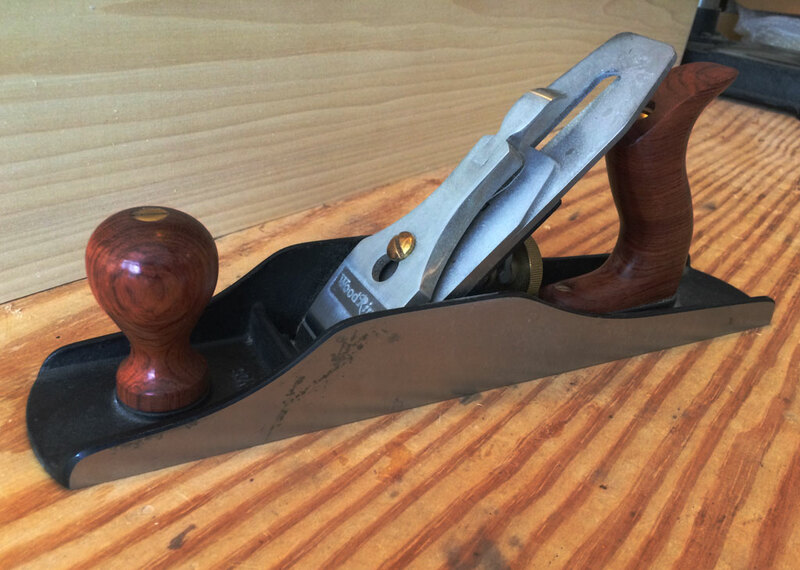 The hand plane takes some practice and you have to keep it sharp, but I find new uses for it all the time. Need to make a wood plug flush with another surface? Run the hand plane over it a few times to cut it flush. Another thing I use it for is to clean up the edges after cutting stock on the table saw. Sometimes the table saw will leave burn marks or cuts from the blade and I can run the hand plane down the wood to clean it up in a few passes. 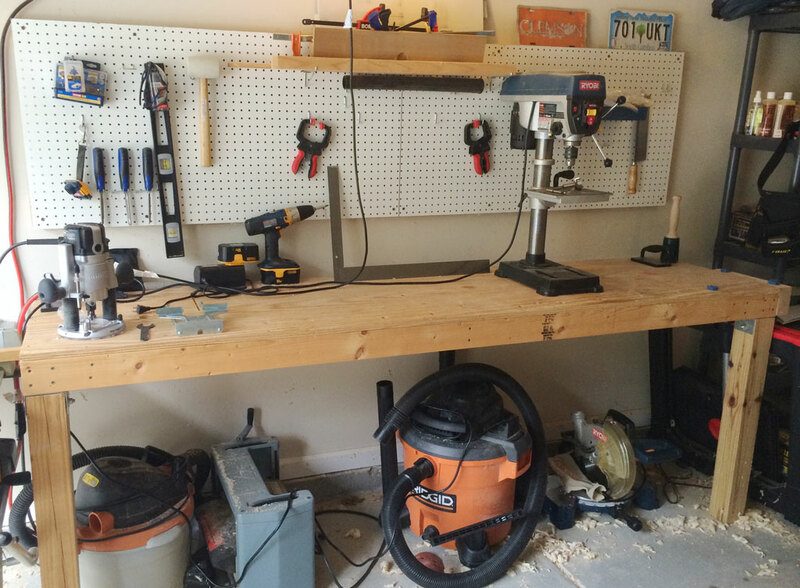 The foundation of any workshop is a workbench. You can buy a nice bench with vices for a couple hundred dollars, but you could literally spend thousands. The important thing is to have a flat surface you can work on at a good height (you want your hands to rest on it comfortably from a standing position). I built my workbench by making a 2 x 8 foot frame and screwing a sheet of 3/4in plywood to the top. I wanted the ability to fold it down so I could get my car in the garage so I screwed a 2 x 4 into the studs and attached the bench top to the 2 x 4 with industrial hinges. Finally I mounted removable 4 x 4’s to the front of the bench when it is folded out that are held in with bolts. Overall I have been very happy with it. It is solid and I have even improved it by building in a router table with detachable fence and adding a bench vise on one end. If you’re looking for a pre-made workbench that folds down I ran across this one today that looked pretty neat. Any woodworker worth his salt will tell you can never have too many clamps. There is nothing worse than getting all your wood cut and lined up and not having enough clamps to glue it together. I really like having a couple of quick release clamps on hand and then a longer set of pipe clamps. The number of tools you can buy is almost limitless, but you can build so many things with just a handful of tools. If you have a question about any of these tools or think there is one I’ve overlooked, leave a comment below or reach out to me on twitter. Now, go out and build something! 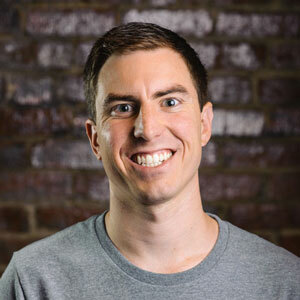 Top 5 Woodworking Tools for the Hobbyist was published on April 07, 2014 by Austin Grigg.